Cast: 5 m, 7 w, 4 flexible. Some doubling possible. Forget the school yard bully! There's always one teacher who can intimidate us! Will, an average high school freshman, used to love going to school…until he stumbled upon the terror of gym class under the formidable Mr. Breakwater's rule. Will's coddling mother and nervous wreck of a father (who hides out in the bathtub) are worried. Will's friends, who call themselves the Geek Squad, want to devise a plan to take Mr. Breakwater down. Can Will find a way to stop being afraid of his gym teacher? 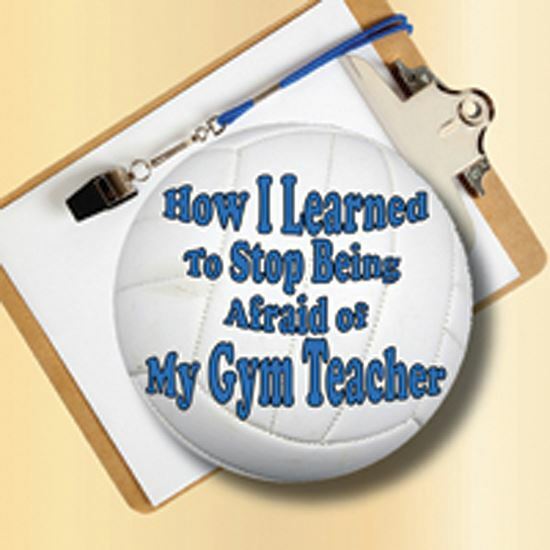 With a romance novel-obsessed principal, a jock chorus, and an unorthodox child psychologist, "How I Learned to Stop Being Afraid of My Gym Teacher" is a hilarious comedy with a touching and poignant ending. "How I Learned to Stop Being Afraid of My Gym Teacher"
A: I was inspired to write this play because I feel concern over the problem of bullying in schools. I was bullied myself at times growing up, and it is something you never truly forget. However, I was also trying to make the point that sometimes even teachers can be bullies, whether they realize it or not, and even if it comes from a place of trying to help. A: That's tough. I love the Principal Puffin scene and the Dr. Brattigan scene, but I would have to say that my favorite scene is Will's scene with Mr. Breakwater. And my favorite line is when Mr. Breakwater looks at the photo of himself when he was a kid and says, “I'm sorry.� I like this scene a lot as a whole, because Will doesn't choose to blackmail or intimidate Mr. Breakwater, even though through the rest of the play he talks about “bringing down Breakwater.� In this scene, Mr. Breakwater becomes a human being to Will. I'm proud of Will for not becoming a bully, but regains his power by by standing up for himself. Q:WHERE DID THE CHARACTERS COME FROM? A: I must admit that the character of Will reminds me a little of me when I was younger. My friends and I were certainly a bit of a “Geek Squad.� Fortunately, I never had a gym teacher as brutal as Mr. Breakwater, but I did often feel uncomfortable in gym class. Characters like Dad, Mrs. Puffin, and Dr. Brattigan were just fun to write, strictly from my imagination. A: I tried to tackle a serious topic (bullying) in a humorous way and without being “preachy.� I tried to show that we're all human beings at the end of the day, and that sometimes people just forget who they are and who they're not. A: Only that I had a great time writing this play. I hope that people will find the humor and heart in it, and enjoy performing it as much as I enjoyed writing it.